Thank you for visiting the Atmospheric Sciences Department web site for online giving. We appreciate your taking the time to learn more about the department and how private support can make a significant difference in the success of the Atmospheric Sciences’ students and faculty. The Department of Atmospheric Sciences seeks to educate undergraduate and graduate students. Our undergraduate program provides strong preparation in the basic physical sciences and mathematics and prepares students for careers in many fields, including the curriculum required by the National Weather Service. Our graduate students go on to distinguished careers in research laboratories, private enterprise and at universities. We are proud of the continued excellence of the teaching and research of our faculty, and of the many accomplishments of our students and alumni. 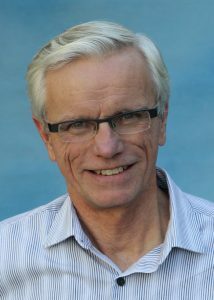 Our department enjoys a superlative reputation nationally and internationally, and continues to make important contributions to the understanding of weather, climate and air quality. Your gift will help enhance our educational and research programs in these areas. Gifts from friends and alumni enable us to provide scholarships, support student activities, and to disseminate a wide range of weather data to the public through our web pages. Planned gifts provide creative and flexible strategies for your estate and charitable planning. Some planned gifts provide you with income. Many of them can reduce your taxes. The greatest benefit, however, lies in knowing you are supporting work at the University of Washington that is important to you and helpful to others. 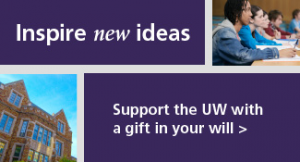 For more information, please visit the UW’s Planned Giving webpage.